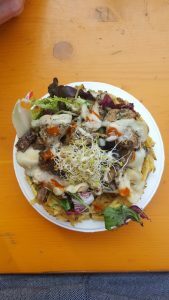 Check out SAI Barcelona’s new reporter’s introduction to his blog and his first recommendation: Street Markets With Live Music. The Plaza de Toros Monumental de Barcelona, more commonly known as La Monumental is a fascinating bullfighting ring located in the Eixample district. Having a capacity of 19,582 this venue has been graced with concerts from the revolutionary Beatles and the legendary Rolling Stones. La Monumental was the last active bullfighting ring in Catalonia since a law was passed in 2010 banning bullfighting events in all of Catalonia. Manuel Joaquim Raspall i Mayol, strongly expressing himself through the Art Nouveau movement, designed the ring which was completed in 1914. 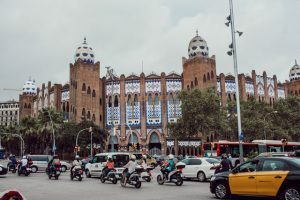 Thousands of blue colorful tiles lay on the Moorish styled exterior. It is worth a walk by just for that! September 9, I went to the Monumental club located at La Monumental. In disbelief with history and the sheer beauty that surrounded me, I instantly knew why legendary artists booked their concert here. The event included live music starting at five and a fashion market that sold an assortment of clothes, jewelry, and sunglasses. 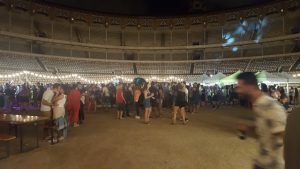 People started to shuffle into the center of the bullfighting ring for the live music around 5 and as the night went on the crowd only grew. 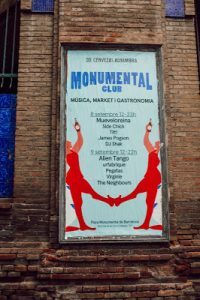 Starting at noon with an entry of fee of 3 euros, Monumental Club did not disappoint for how reasonable the cost was. The price raised to 5 euros once the clock hit 5:00 pm. 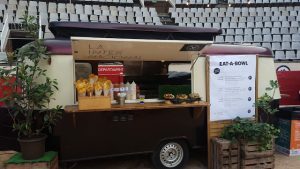 Inside the event, there were local food trucks to eat from and a Perrier stand that was handing out free bottles of sparkling water. The free bottle of water was a life savior! Do not fret if you could not make it to the Monumental Club, there are still three more markets to go and visit. The next event runs through the weekend of September 22 spilling over into Monday. I hope to see you there! 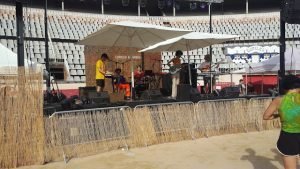 Here is an article about the Beatles performing in Spain accompanied by pictures of their concert at La Monumental. September 24th, the last day of the festival, is the official city holiday of Barcelona. Nobody should miss this prominent Catalonian cultural event! More information on the history of La Mercè can be found here. Also, here is the program for the festival! Have a safe and fun week! Gabriel is a fall 2018 SAI Barcelona student from Colorado State University. His full blog can be found here. Know Someone Who Would Be Interested? 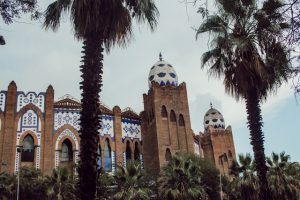 The SAI Barcelona office welcomes students to study abroad with SAI at the Universitat Autònoma de Barcelona (UAB), Universitat Pompeu Fabra (UPF), Elisava Barcelona School of Design, and CETT Tourism, Hospitality and Gastronomy. Our admissions counselors can’t wait to help you! Stay in the Loop with SAI. SAI is dedicated to providing academic and cultural learning experiences abroad that enhance global awareness, professional development and social responsibility. We concentrate our programs in Europe, with a focus on in-depth learning of individual European countries and their unique global role in the geopolitical economy, humanities, and in the arts.